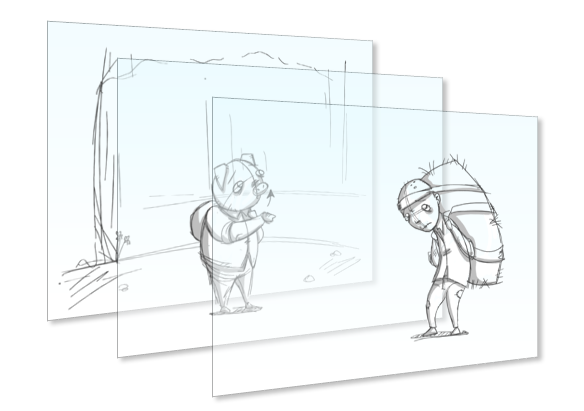 Storyboard Pro allows you to work with layers within your individual storyboard panels. Working with layers helps to keep your artwork organized and permits advanced editing of individual components. Working on multiple layers increases the reusability of your drawings as you move from shot- to-shot or scene-to-scene. Each layer or part of a layer can be dragged from the selected shot into any other shot, reducing drawing time.